I love young children’s illustrated books (that’s the section you’ll find me at a bookstore); they’re beautiful reminders of the simple, innocent, and loving perception most of us felt forced to leave behind while growing up. 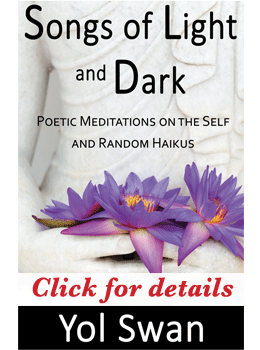 They’re creatively fun and they speak to our inner child, prompting us to reclaim a more natural approach to life by restoring our inherent connection to Love—that is, Divine Consciousness—just like when we were little. In one such book I found a story of a young blue songbird who’s confused about who she is. She observes her sisters sing, but she cannot sing like them and worries about her purpose in life. Her mother suggests she needs to find a special song that she alone can sing. So she sets out to cross land and sea to find her song. She meets all kinds of birds, from cranes to owls to penguins, but none has the answer, until a wise crow tells her she’ll find it by flying West as far as she can go. Against all odds, strong winds, and snowy weather, the blue songbird flies and flies for days with great hope and enthusiasm until she sees a piece of land from which music is emanating, like a glowing island of destiny calling out to her. Excited by the discovery, she rushes to this magic place hoping to finally find her song. But as she lands she realizes with disappointment that she has returned home. 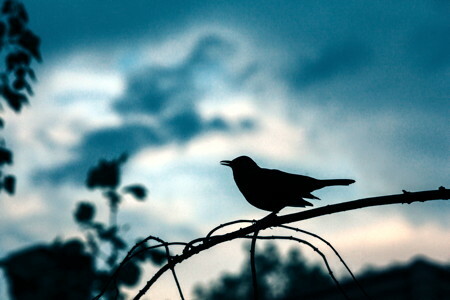 In spite of her chagrin, when she sees her mother she is overcome with the urge to tell her about all the birds she met, the obstacles she encountered, and the different emotions she had along her journey. As she opens her beak, a lovely song pours out—a song emerging from her struggles and experiences—an authentic song she alone could ever sing! A daily purpose: ongoing tasks that keep your mind busy, disciplined and focused. A life purpose: worldly activities that align your desires or aspirations with your life and soul path. A soul purpose: the process of self-exploration and soul integration to transcend the ego-mind that causes you suffering. Of these, the last one is clearly the most important, since it includes the other ones and is your ultimate destination as well. Whether you’re aware of it or not, your soul is continuously leading you to explore and experience things that in time will help you know yourself better and make more conscious choices to find satisfaction now and invest in a better future. Reclaiming your voice and your purpose requires putting the pieces of your life puzzle together, to have a clear picture of who you are, what your life is about, and what you’re here to contribute in your unique way. How Do You Find The Song You’re Meant To Sing? I’ve said it many times before and I’ll say it again a million more: Clarity is your power. Clarifying what you want, and how, on all aspects of life opens you up to new possibilities of experience. It stretches your viewpoint beyond what’s comfortable or familiar—what you’ve settled for. This requires self-reflection, self-awareness, and often also external guidance, because it’s very easy to get sidetracked by the myriad ideas your mind can produce to pull you away from what’s truly empowering: shaping a life you really want and engaging with others from a centered, detached place. Without clarity and discrimination, your choices are limited by your perception, which in turn is limited by your beliefs as well as family and cultural conditioning—all of which are aspects of ego to keep you emotionally stuck in the past; this is what you project as your external reality believing that’s all there is, that’s all you can do, or that’s as far as you can go. And yet, if you move forward, expanding beyond what’s well known, with curiosity and enthusiasm, you may discover new facets of your immense creative potential. Your life is really a projection of yourself (an individualized life-movie) that is both led by your soul and colored by ego; gaining the discernment to distinguish each is what your soul purpose is really about. And you have the necessary tools to accomplish this: an emotional compass to listen to your inner voice and express yourself with actions aligned with your soul (not ego); a higher mind guiding you to your truth with intuitive wisdom; and a life-movie you create that shows you exactly what you need to nurture and let go of, to be happy and fulfilled. Like the blue songbird in the story, you can’t just copy or compare yourself to others to find your song. You must look within and reflect on the experiences your soul has led you and continues to lead you toward, to explore and feel things, to overcome obstacles, to discover new things, and to remove the blinders preventing you from perceiving what has always been there, ready to emerge polished into a unique expression of who you truly are. But this is a process that requires curiosity, clarity, and humility, as well as the determination to pierce through the resistance triggered by your ego-mind to keep you stuck in the same perception of yourself. In other words, you must come off the hamster wheel you’ve been pedaling at in your mind and start listening to the unsung song that wants to come out in its own way. 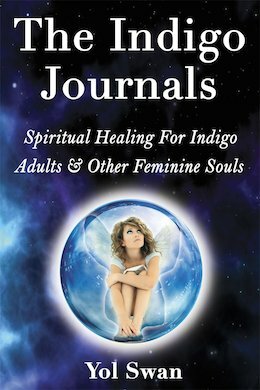 You’ll find step-by-step guidelines to discover your purpose in The Indigo Journals: Spiritual Healing For Indigo Adults & Other Feminine Souls. For a more individualized, one-on-one approach, contact me today to embark on a journey of deep self-exploration, to find the meaning and purpose of your existence!